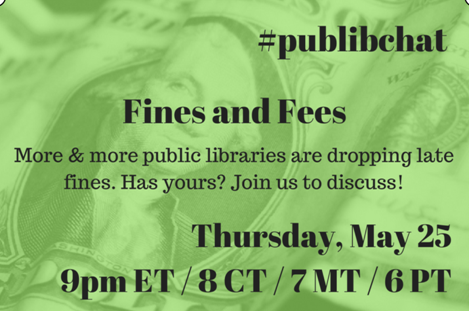 Is it time to rethink fines and fees at your public library? Join us to discuss and learn from others experience! Do you have experience in rethinking or eliminating fines and fees? 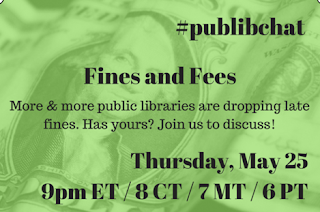 Please consider being a co-moderator for this month's #publibchat! Contact @radicalibrarian on Twitter!